WHAT DO YOU regard as being quintessentially British? Many people’s answer would be a conservative institution such as the Royal Family. However, for me, something more subversive springs to mind: our sense of humour. 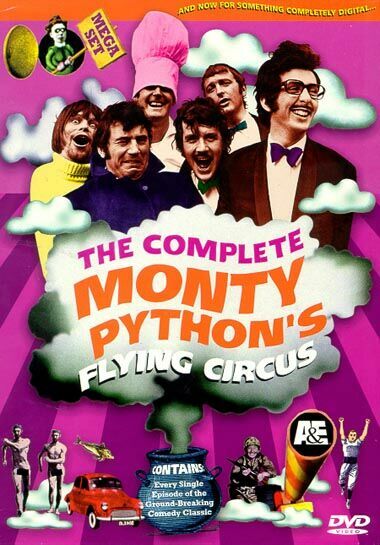 In the space of 50 years, British satire has journeyed from university backrooms to mainstream TV and film studios. On the way there, it destroyed deferential attitudes to the establishment and helped make Britain a more liberal and tolerant place. Not bad an achievement for people who wrote sketches about one-legged Tarzans. Although literary satirists such as Swift and Pope were around two centuries ago, the story of the modern form begins at Cambridge University in the early 1960s. 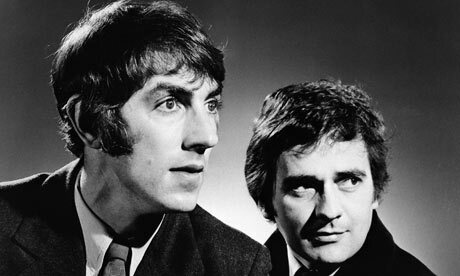 Peter Cook was a bright, suave modern languages student with a talent for reducing entire rooms of people to laughter. While president of the Footlights Club, a theatrical group that has turned out many comedy heroes, he formed the influential revue Beyond the Fringe with jazz pianist Dudley Moore, doctor and actor Jonathan Miller and Alan Bennett, who would go on to a distinguished literary career. Beyond the Fringe smashed the conventions of live comedy with innovative musical numbers, absurdist monologues and madcap sketches, and took aim at sacred targets: Shakespeare, classical music, the army, the clergy, the police and, most controversially, politicians. Cook’s impressions of the then Prime Minister Harold Macmillan prompted the kind of moral outrage that rock and roll had caused in the US just a few years before. No comedian—no one—had ever mocked the powerful in quite this way before. Nonetheless, TW3 served as a training ground for future members of perhaps the most important British TV comedy ever, Monty Python’s Flying Circus. Over 47 episodes, five films and numerous books and records the Pythons were every bit as barbed as Beyond the Fringe, though they added a surreal dimension to satire. They experimented with the visual possibilities of television, then still a young medium, Terry Gilliam’s pop art animations juxtaposed with zany locations, fake credit rolls and sudden fragments of slapstick. Skits recognised the world over include The Lumberjack Song, The Dead Parrot Sketch and The Ministry of Silly Walks in which John Cleese’s elastic-like legs bend and twist in unimaginably strange ways. I’m in love with you again! Thirty years later, the phrase “Cool Britannia” was exploited by Tony Blair’s New Labour government to appeal to young voters. Had they still been together then, the Bonzos would have mercilessly lampooned that. The next significant wave of satirists came in the early 1980s under the rubric of ‘alternative comedy’. Some, like Stephen Fry and Hugh Laurie, had graduated from the Cambridge Footlights. Others, like Alexei Sayle, Ben Elton and Dawn French, learned their trade on London’s stand-up circuit. By the end of that decade, Chris Morris was working as a local radio DJ with a taste for pranks such as pumping helium into the newsroom during accident reports. Moving up to first BBC Radio 4 and then BBC TV, his oeuvre got more sophisticated. Morris took the surrealism-meets-caustic send-up formula and ran with it, mixing Dadaist euphemisms (example, for life-threatening injury read “quadrospazzed on a lifeglug”) with a savant’s grasp of the mechanics of modern broadcasting. He had a particular talent for using sound montages and psychedelic news-graphics to estrange and provoke the viewer. Indeed, a record number of them complained about a 2001 episode of his series Brass Eye. Condemnation from MPs and the gutter press followed. The crowning scene from that episode is when a genuine member of the British Board of Film Classification (BBFC) is asked to judge whether a series of fake artworks are obscene or not. It quickly transpires that there is no guiding logic whatsoever to the BBFC as their man flounders over increasingly silly images. Just at the moment when satire was becoming respectable with primetime programmes such as Have I Got News For You, Morris had proven it was still possible to shock post-Cook, Python et al. The story of British satire ends in a way that symbolises how the nation has changed. Those enfants terrible who so piqued the authorities are now some of the most famous and well-loved people in Britain today: Stephen Fry, John Cleese, Sir David Frost, Michael Palin, Sir Jonathan Miller and Alan Bennett. Peter Cook and Vivian Stanshall both died too young to be re-branded as national treasures, and we can only guess at whether one day Chris Morris will receive a knighthood. It seems unlikely at the moment, given that he recently directed a film farce about Al-Qaeda terrorists in the North of England.